"Take a step and reject Serzh" was the rallying cry of hundreds of thousands of Armenians who took to the streets earlier this year, forcing the resignation of Armenia's president-turned-prime-minister, Serzh Sargsyan, and clearing the way for the leader of the opposition, Nikol Pashinyan. What was Sargsyan's second term as PM, deemed by many to be a "power grab", lasted only six days. Nicknamed the "Velvet Revolution" for its non-violent nature, the protests marking Sargsyan's departure were a remarkable turning point for Armenia, with the promise of sweeping reforms under Pashinyan's interim administration. But the role doesn't come without challenges. Alongside the need to address internal disputes, such as oligarchs monopolising Armenia's politics and economy, the country is also in a delicate geopolitical situation, balanced between Russia and the West. Moscow provides economic and military support to Armenia, which has been geographically isolated by both Turkey and Azerbaijan, most pointedly with the building and recent inauguration of the Baku-Tiblisi-Kars Railway in 2017 after the Nagorno-Karabakh conflict saw an existing railway that went to Baku via Armenia shut down. Armenia fought a war with Azerbaijan over the Nagorno-Karabakh region in the 1990s. Azerbaijan wants its internationally recognised territory back, putting the real risk of conflict on the cards and now, in Nikol Pashinyan's hands. One of Pashinyan's first official moves as PM was a visit to Nagorno-Karabakh. 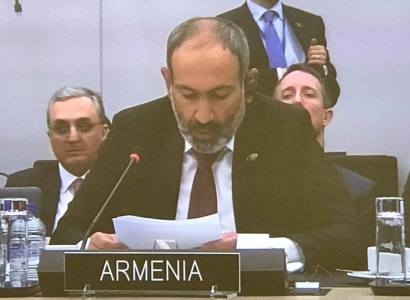 Although he insists on a peaceful solution for the ongoing "frozen conflict" between the two countries, Pashinyan insists that Azerbaijan may have more on its plate than a decades-old debacle with Armenia. "I am sure that the Azerbaijani government is trying to distract the attention of its own people from its own domestic troubles and problems, to the Nagorno-Karabakh problem. 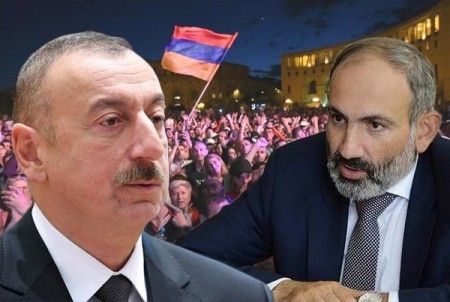 That is why I am saying that any aggressive move against Armenia is an aggressive move against democracy in our region," says Pashinyan. "We have real will and real desire to solve this conflict peacefully," he continues. "We are ready for negotiations. But I want to insist that we aren't going to make anything in the atmosphere of intimidation. It is important to create an atmosphere of peace".